National Assembly deputies are still arguing about the ‘one program, many sets of textbooks’ principle they approved five years ago. The National Assembly’s Resolution No 88 released in 2014 says that Vietnam would diversify textbook compilers. The Ministry of Education and Training (MOET) would be the only agency which has the right to set curricula for education levels, but would not be the only agency that compiles textbooks. Organizations and individuals will be encouraged to compile textbooks based on the curriculum framework. General education establishments will choose textbooks for their students after consulting with teachers, students and parents. The resolution was released after thorough discussions and the idea of ‘one curriculum, many sets of textbooks’ was praised as encouraging creativity and renovation which is in line with the international practice. The Ministry of Education and Training (MOET) would be the only agency which has the right to set curricula for education levels, but would not be the only agency that compiles textbooks. But now, many problems have emerged. Pham Van Hoa, a National Assembly deputy, said the idea of letting schools to choose textbooks after consulting with students and parents is ‘irrational’, because they don’t have the necessary knowledge and experience in this field to contribute opinions. He warned that a lot of problems may arise if schools in the same province use different textbooks, especially when students follow different textbooks but have the same exam questions. Warning that many textbooks may make things chaotic, he said students will have to buy other textbooks if they move to other schools. He also fears that wrongdoing would occur as publishers and compilers may give bribes to school leaders in exchange for the schools using their textbooks. 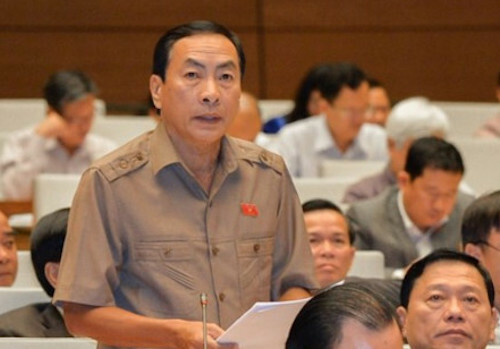 Tran Van Tien, another National Assembly deputy, also disagrees with ‘one program, many sets of textbooks’, for fear that the existence of more than one set of textbooks for every grade will make it difficult to organize national exams. “How will we design a national exam for all students if students learn with different textbooks?” he said, adding that there should be one official set of textbooks for every grade, while the other books will be ‘for reference’. A model has been suggested under which a national council would be in charge of compiling official textbooks to be used for many years and in all localities. However, the textbooks will be open for local authorities to add lessons about typical characteristics in their localities. The textbooks will be reviewed periodically every 5-10 years, and they will be re-compiled and updated with information if necessary. Disagreeing with the opinions, Bui Van Phuong thinks that ‘one program, many sets of textbooks’ is reasonable, saying that textbooks should be seen as a tool for students to access knowledge from general education. The textbooks which help students better access knowledge must be chosen, he said.